Our Cotswolds venue sits in 2 acres of private grounds on the edge of the classic Cotswold village of Long Hanborough, near the market town of Witney, which is easily accessible from mainline communications. Our 5 acre Spanish estate is set in the beautiful hills of Bedar just outside Mojacar, Almeria - with spectacular sea and mountain views and incredible weather that can hit 20 degrees in the winter, this is the perfect base for a Spanish bootcamp! 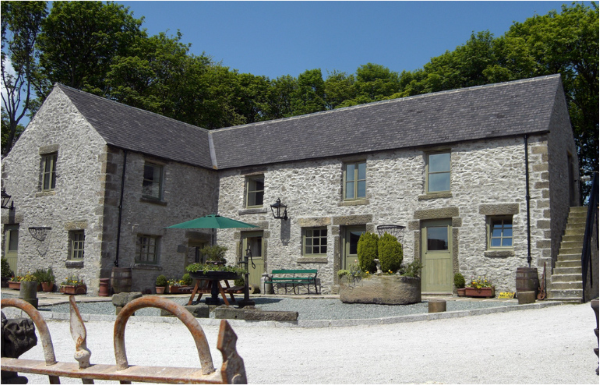 We have three incredible venues here at Hillmotts. All have excellent indoor fitness studios and both have wet facilities. The first is set in the heart of England in Oxfordshire on the borders of the Cotswolds and is where we hold our group camps. It’s a wonderful Cotswolds stone country house featuring a sauna and indoor studio the house with 11 bedrooms and 2 acres of grounds to admire. 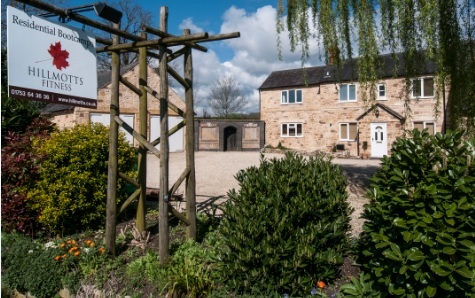 The second is set in the North of England in The Peak District, it is an old farm house with indoor swimming pool, indoor studio and is set in 10 glorious acres with cottages and is the perfect location for our private 1-2-1 fitness camps / fat camps. The 3rd is in Spain, set in the beautiful hills of Bedar just outside Mojacar, Almeria. The term Fat Camp is more commonly used by Americans when describing their version of a boot camp. In England it’s deemed a little derogatory and therefore it isn’t often used, so whilst it’s not a phrase you’ll hear much in England and not something we use ourselves please rest assured we are a place where anyone aiming to get fitter or shed a few lbs can come and enjoy some time away to focus on starting a healthier lifestyle. That is not to say you have to be overweight, many of the people who attend our camps are not, they just want to get fitter. In fact some of the clients who attend already run marathons or similar regularly, they just want to have a different fitness challenge! So I bet you are wondering what is involved in a Hillmotts camp then? Well it’s essentially quite simple, lots of good food to help you eat well and improve your nutrition. Lots of intensive exercise, this exercise is aimed at all levels for those attending the fitness camp / fat camp. It aims to encourage you to improve daily and achieve more than you thought was possible to do in such a short space of time. Most of all though, when you attend one of our camps you get the help and support that you need. Our staff are there with you every step of the way to support and care for you and ensure you achieve the maximum results possible. You can stay with us on the boot camp for up to 6 weeks or for as little as three days, even in a three day period you can get some incredible results that will help keep you motivated even after you have left us.